God is moving and all over the world people are building a habitation of His presence. We are living in an hour of history where God is working to restore the fallen tabernacle of David. Cities and nations across the earth are hosting His presence and creating places of encounter with God where the saved are lit afresh and the lost come face to face with His love. God is raising up a company of pioneers who have first love in their hearts and will build God's dwelling place in the earth. Connect with students all over the world as you go on this 10 month journey to be equipped as a pioneer of His presence in the nations. 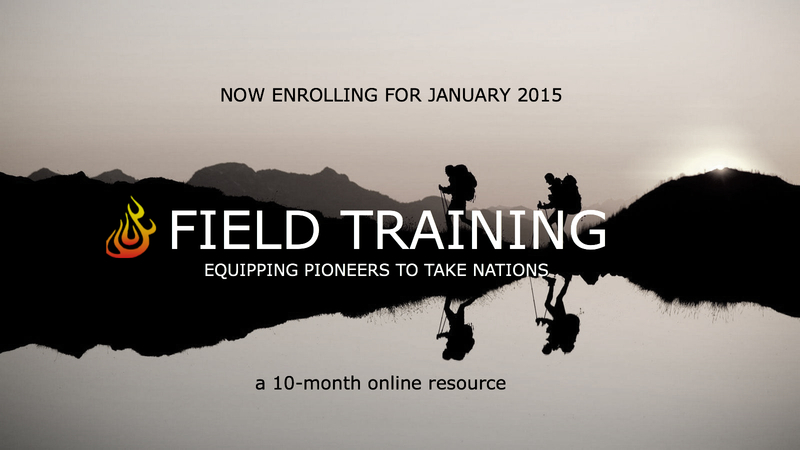 Field Training is a 10-month online distance-learning course specifically designed to equip current and future Burn 24-7 leaders to ignite, sustain and mature a Burn 24-7 prayer furnace in their community. The course content will be taught by a combination of Spiritual Fathers and Mothers and key leaders in the Burn movement. Each course will expose you to the culture, values, biblical foundations and practical leadership skills necessary to lead a Burn community. The cost for Field Training is $325.00, this does not include the cost of books which may or may not be required for courses. Full payment is due by the enrollment date. A 3 installment payment plan may be made on a case by case basis. Full tuition refunds may be issued up until the first day of Field Training. Deposits are not refunded. After the student has checked into their first course, the refund policy will no longer apply. In the event that the student is unable to complete the course as desired, a hold may be placed on the account and the student will have the opportunity to retake the missed courses the next time the course is offered, at no additional cost.